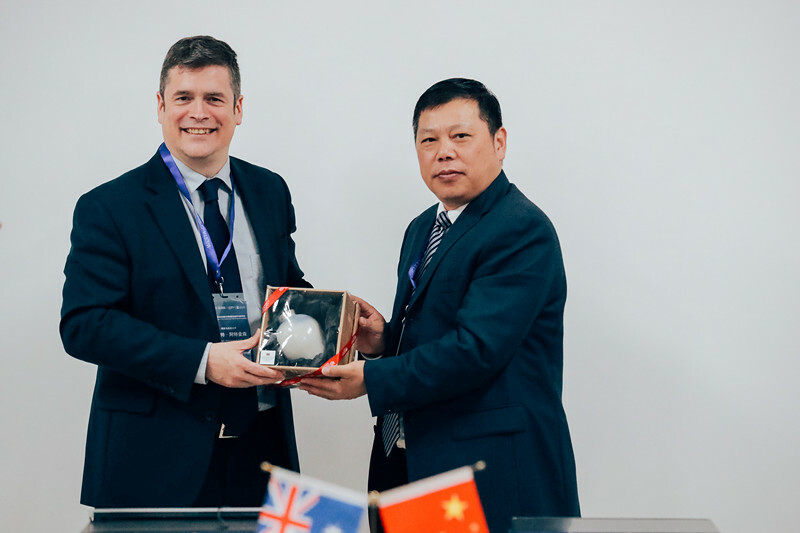 With the invitation of the Australia Education Management Group, the delegation of University of Tasmania under the leadership of Mr. Robert Atkinson, Deputy Vice-Chancellor (Global Engagement) visited our partner universities in China from 12th to 15th November, 2018. 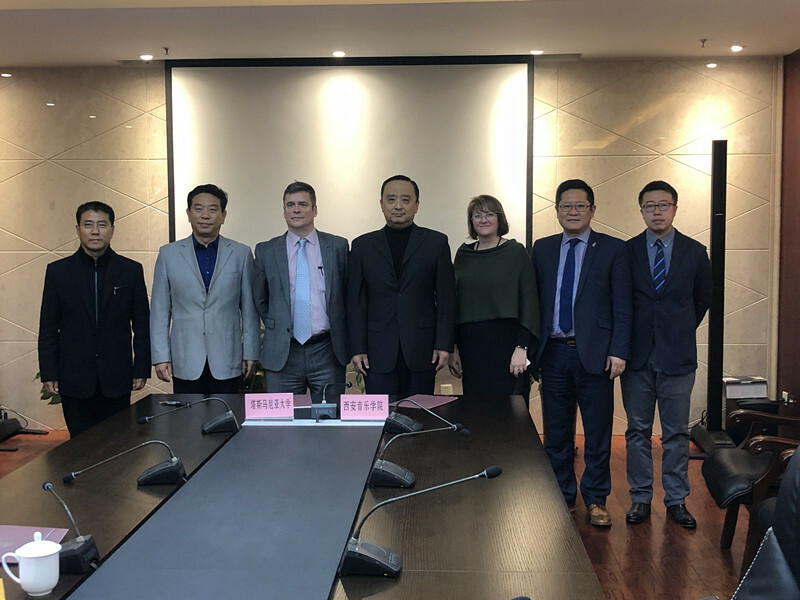 From 12th November to 13th November, Roger LI, President of AEMG and Jenny WANG, Director General accompanied the delegation to visit Southwest University. They were welcomed by Prof. Yule JIN, Vice President and relative staff. During the meeting, the three parties had a detailed consultation on the cooperation and reached a broad consensus. After the meeting, the delegation observed an academic lesson and gave a lecture to program students. 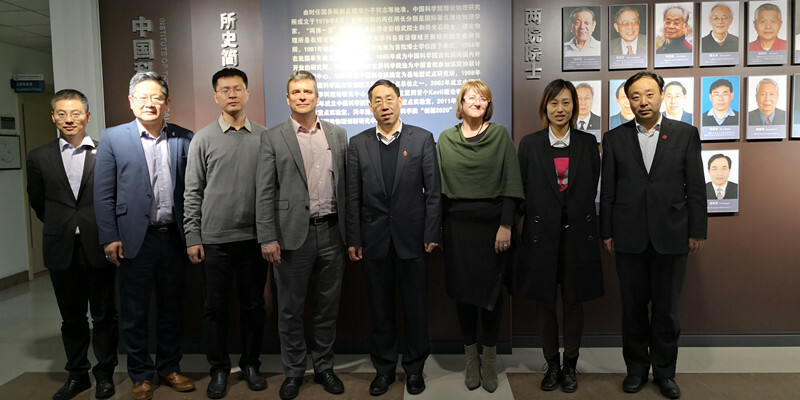 On 14th November, Roger accompanied the delegation to visit Xi’an University of Science and Technology. 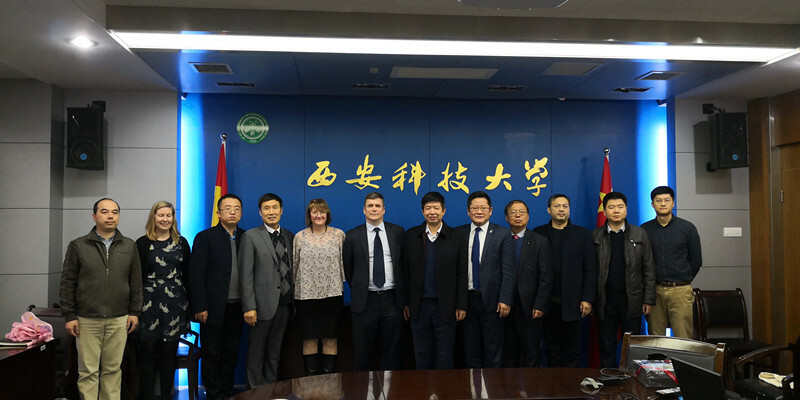 They were welcomed by Prof. Weihu ZHANG, Vice President and attended the annual JMC meeting for the joint program. After the meeting, the delegation met with the program students and invited them to study at UTAS in Hobart. In the morning of 15th, the delegation visited Xi’an Conservatory of Music. They were warmly welcomed by Prof. Zhen WANG, President of XACM. During the meeting which was hosted by VP, Prof. Libin FENG, the three parties had a detailed consultation on the potential cooperation and reached a broad consensus. In the afternoon of 15th, the delegation visited University of Chinese Academy of Sciences accompanied by Roger. They were welcomed by Academician, Prof. Yuliang WU, VP of UCAS. In the following meeting, the details about the further collaboration was discussed and got a periodical achievement.